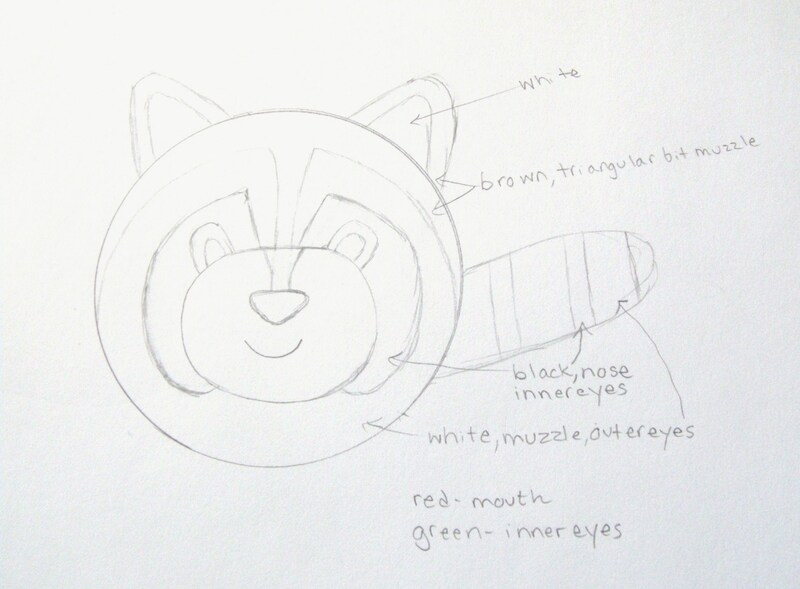 Usually I let my imagination rule while needle felting, but every now and again a preliminary sketch is necessary to get the toy design just right. If the design in your mind has intricate patterns or shapes, a quick sketch could really help you stay on track while felting. Below are two recent sketches that I designed for some toys. They are both basically spherical in design, but the color patterns needed to be tested out. 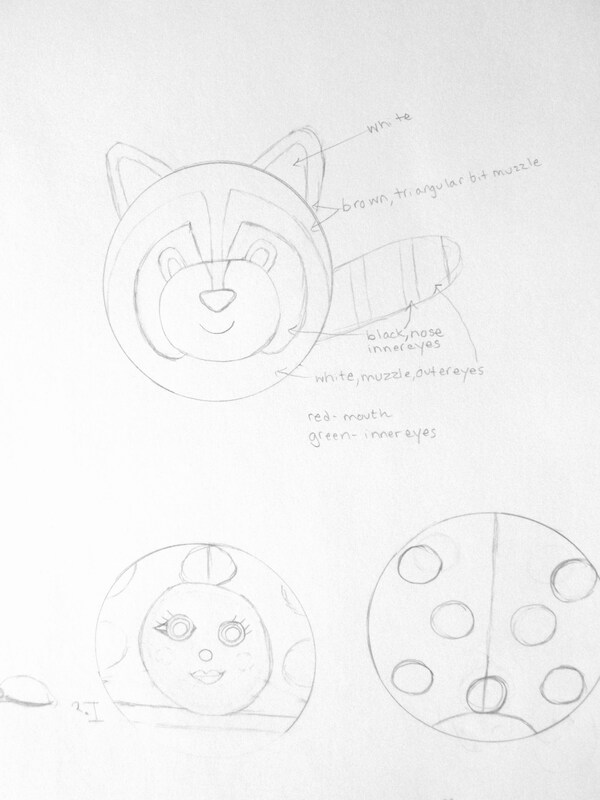 My raccoon and ladybug sketch took a mere 30 minutes, but it is sure to save me time in the long run! 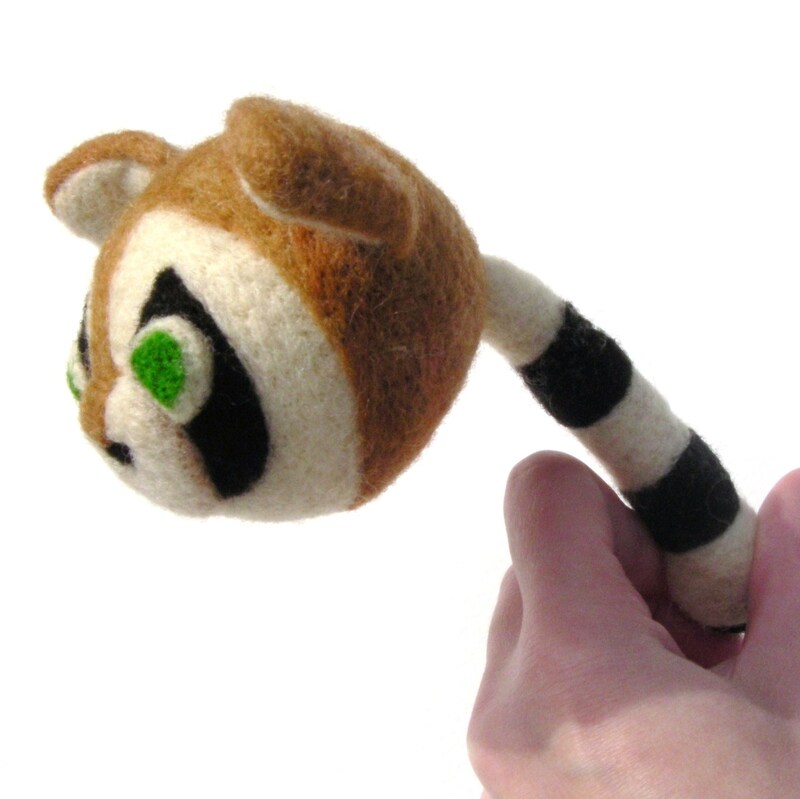 I have completed the raccoon already. Below are a handful of pictures, so that you can compare the sketch to the final product. I did change things up as I went, I decided I didn’t want a smiley face, and I made the ears, tail, and eyes a bit more exaggerated. So, do not feel like you are chained to the sketch, still let your imagination guide you while you are in that magic felting place! 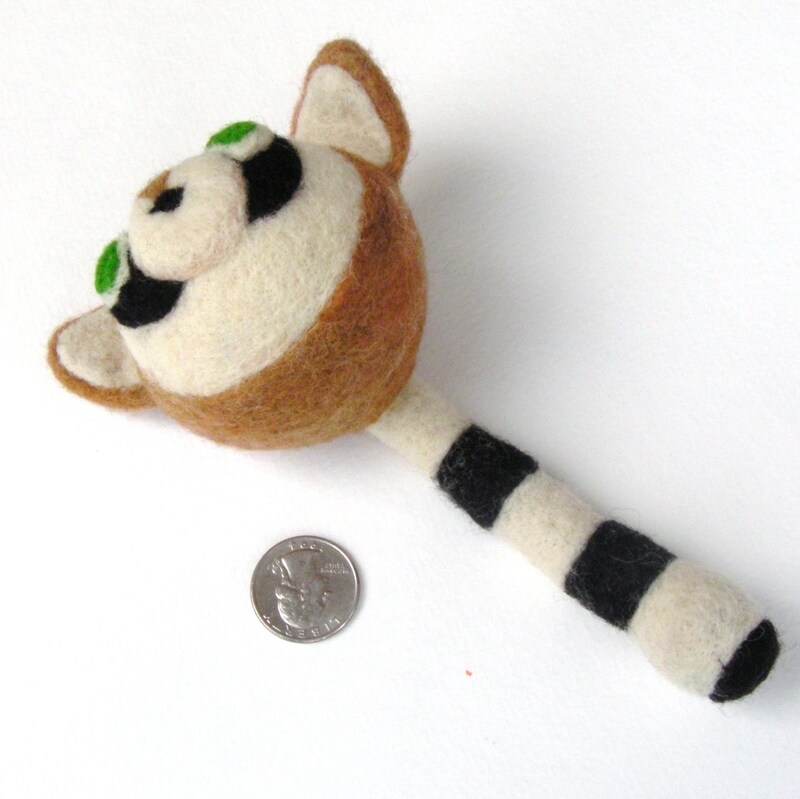 I will probably do a felted raccoon again; I am absolutely in love with my first raccoon. Therefore, the sketch will come in handy for future projects. 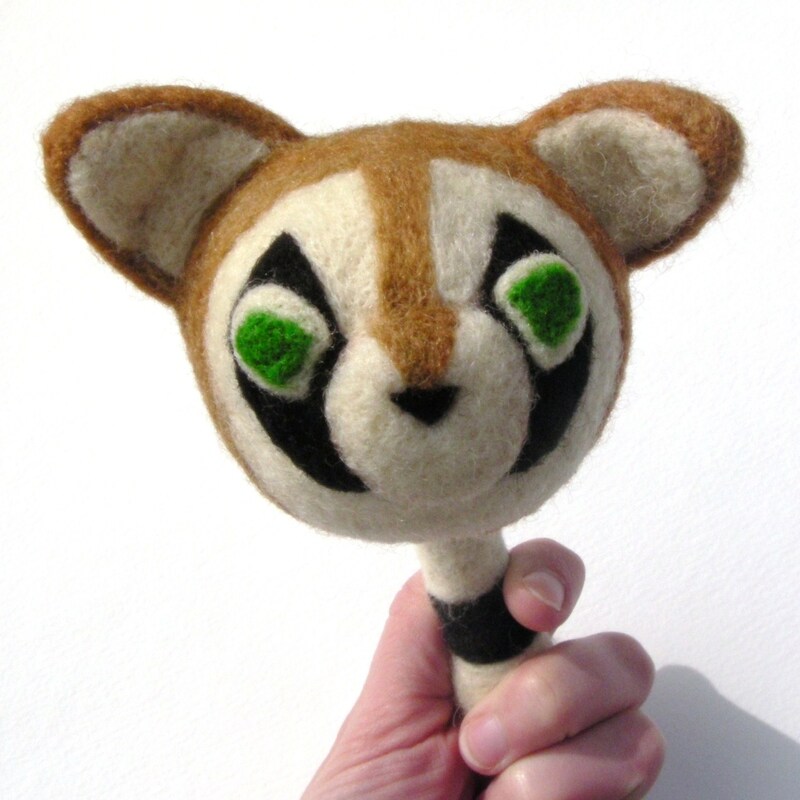 So, if your hands are tired from all that needle felting, simply grab out a pencil and paper and sketch some designs for the future. Whenever you are feeling uninspired, those tidbits of imagination will be waiting!